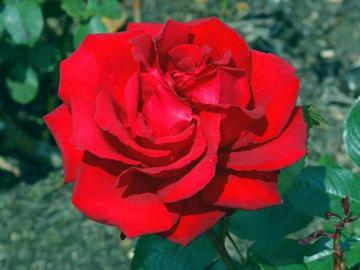 Beautifully formed large velvety dark red fragrant flowers on strong stems. Repeat flowering in summer. Dark green glossy foliage and upright bushy growth. Very hardy and disease resistant.